Get low cost and high-quality prototypes from our Rapid Prototyping services in Fort Lauderdale. We use methods like polyurethane casting, CNC machining etc. 3D-printing and Rapid-Prototyping has changed how products are developed. 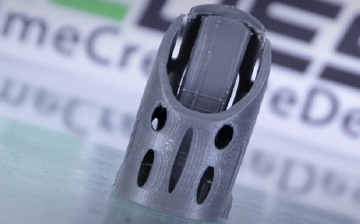 We can take 3D models created in CAD software and have a 3D-printed part in your hands in days or weeks cutting the time to reach market significantly. We print in SLA, FDM, and SLS printing processes.